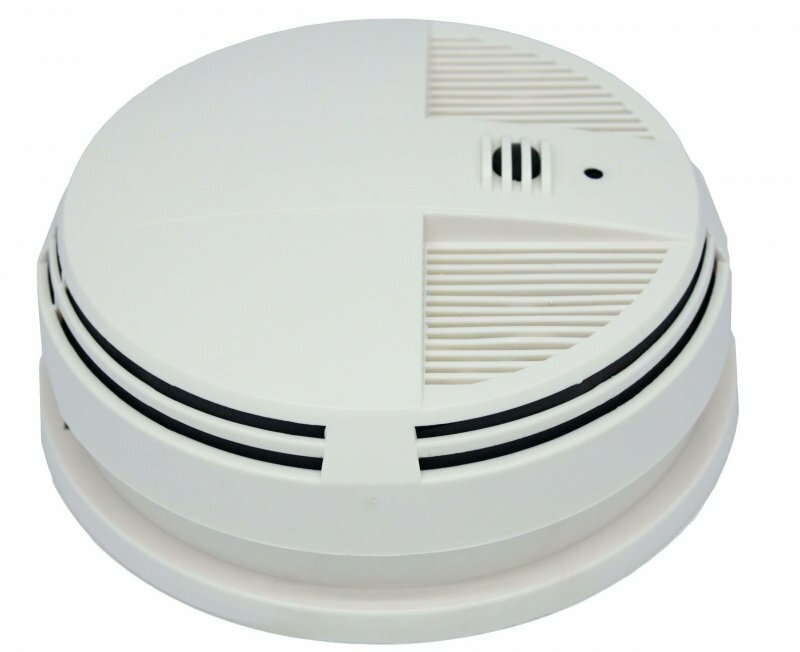 The WiFi Night Vision Smoke Detector Camera lets you keep an eye on your home or office without drawing attention to yourself. 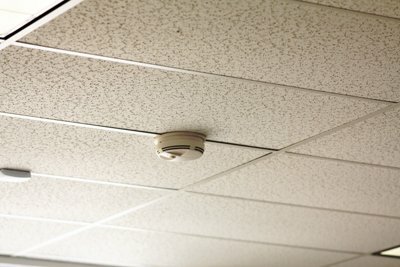 The camera is hidden in what looks like a normal smoke detector. Mount it on the ceiling and no one will suspect that you’re recording video. You can protect your valuables from theft or make sure that your loved ones are being properly cared for when you go out of town. The camera records full 720p high definition video, capturing small details and faces from across the room. It also comes equipped with night vision for around-the-clock surveillance. You’ll always have a clear picture of what’s happening in the room, even if someone is sneaking around in the middle of the night. 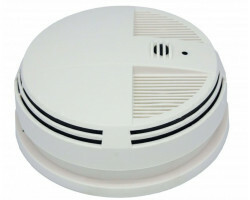 You don’t have to be next to the WiFi Night Vision Smoke Detector Camera to view your footage. The device is connected to the Internet, so you can live-stream your footage from anywhere in the world. Just download the app and you can see all of the action on your phone, tablet, or computer. The app even lets you zoom in on your footage, so you can pinpoint important details and suspicious characters. When you live-stream the footage, you’ll have a clear view of everything that’s going on in the room. The WiFi Night Vision Smoke Detector Camera uses a wide-angle 140-degree lens that’s you see more of the space. The camera points down from the ceiling, so you can see what’s happening in every direction. If someone does break into your home or office, the camera will alert you on your smartphone, tablet, or computer. It comes with motion activation, which means that the camera will start recording automatically as soon as it detects motion in the room. Once the camera starts recording, an alert will pop up on your phone. You can immediately pull up the footage to see what’s happening in real time. 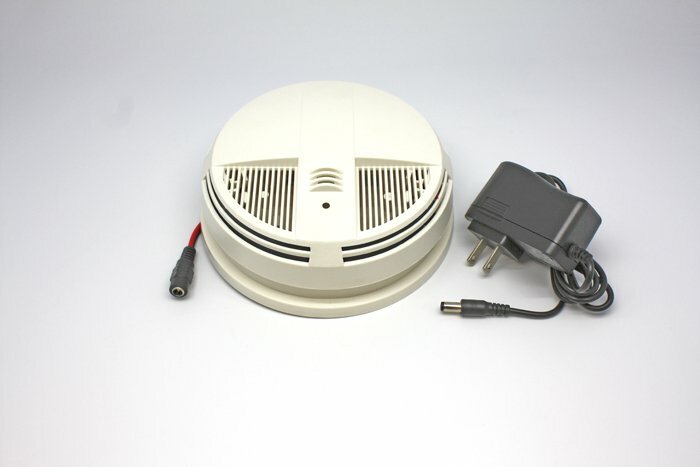 Overall, the WiFi Night Vision Smoke Detector Camera is designed for hands-off surveillance. The battery will last up to 90 days when you put the camera in motion activation mode. It also comes with a 32GB memory card that lets you store up to 47 hours of HD video. 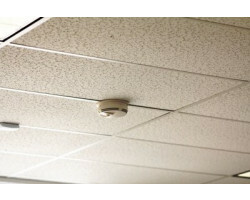 You can leave it on the ceiling for months on end without having to fiddle with the camera. Covert and reliable, this hidden camera has all of the features you need to watch over your property. 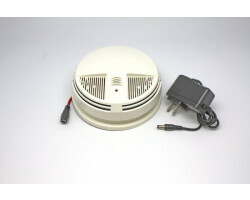 Protect your valuables and your loved ones with the Xtremelife WiFi Night Vision Smoke Detector Camera.